At Doctors Health Press, we enthusiastically promote natural medicine. But, there are important health considerations when it comes to how drugs and supplements can interact, as they sometimes do so dangerously. A new study, which looked extensively at the subject, offers a clear and accurate picture of what drugs and supplements should never be combined. 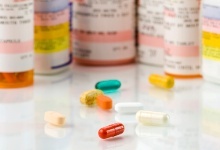 Researchers have found that many herbs and dietary supplements can cause potentially harmful interactions with drugs. This is especially true for people taking drugs for problems with the central nervous system or cardiovascular system. The team reviewed 31 original studies and 54 review articles for a very comprehensive overview of the issue. They found that the greatest problems were caused by interactions between drugs and any supplements that included St John’s wort, magnesium, calcium, iron, or ginkgo as an ingredient. All this data clearly showed that some commonly used supplements have moderately severe interactions. The study also found that herbs are more likely to have negative interactions than other dietary supplements. While the study added some clarification to an area of knowledge that still is very murky, the message is clear: if you buy one product over the counter, and the other with a prescription, the two combined can cause trouble. And, you have to understand what that trouble could be. Telling your doctor which supplements you take before you receive any prescription is a wise course of action. While comprehensive, this study might represent the tip of the iceberg. The researchers stated that such drug-supplement interactions are being underreported and that the actual numbers of people affected could be much more significant. Ernst, E., “Interactions between drugs and supplements: the tip of an iceberg?” International Journal of Clinical Practice published online October 16, 2012.